Radice, himself a recognized English poet and erudite scholar, delved into the deeper meaning of Tagore’s poems and songs, and discussed his ideas on education and the environment with an insight probably no other Westerner has. He also translated Tagore’s short stories and short poems, and finally was able to make a complete breakthrough by translating Gitanjali afresh and restoring Tagore’s original English manuscript. Martin Kämpchen lives in Santiniketan, West Bengal and Germany and is a reputed Tagore scholar and writer. Martin Kämpchen is of German origin and has studied in the USA, Paris and has a Ph.D. in English Literature from Vienna and in Comparative Religion from Visva-Bharati, Santiniketan, West Bengal. He is based in Santiniketan since 1980, and has translated the poetry of Rabindranath Tagore from Bengali to German (six volumes). 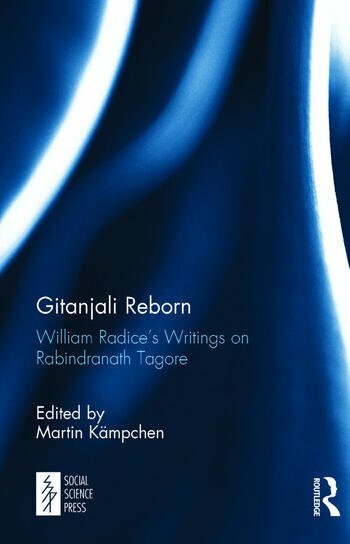 He has authored the only German Tagore biography and written several books on Tagore’s relationship with Germany in English and German.